The book Extreme Measures: Finding a Better Path to the End of Life by Jessica Nutik Zitter, MD, provides essential insights into palliative medicine and end-of-life care. It also gives important ideas for pain management that are all too often overlooked in healthcare today. The importance of palliative care cannot be understated. As Zitter explains, over 50 percent of Americans die in pain, and 70 percent die in hospitals, nursing homes and other institutions. The book opens with Zitter describing her background in medicine and how she came to appreciate the value of reducing the suffering and easing the process of death in the terminally ill.
“It took the palliative care movement to teach me that treating pain early on was one of the most important things I could do for my patients -- almost as important as maintaining blood pressure or treating infection,” she wrote. American healthcare has focused on preserving life at all possible costs, often without respecting the desires or values of the patient. This is clearly visible in long-term acute care. Zitter tells us that annual admissions to acute care facilities tripled between 1997 and 2006, rising from 13,000 patients to more than 40,000. Of those 40,000 patients, 30 percent were partially or fully dependent on intensive interventions such as mechanical ventilation. Zitter calls this a treatment treadmill, a form of healthcare inertia that moves a person along to more aggressive interventions, even when there is essentially no hope of clinical benefit. She describes cases from her own professional experience, including a pancreatic cancer patient whose treatment team at New York Presbyterian was ready and willing to continue chemotherapy with curative intent, despite the spread of metastatic disease and the patient’s deteriorating health. In other words, chemotherapy should be given with palliative, but not curative intent. “Let us help patients with metastatic cancer make good decisions at this sad, but often inevitable, stage. Let us not contribute to the suffering that cancer, and often associated therapy, brings, particularly at the end,” they advocate. Unfortunately, aggressive treatment with curative intent is not limited to “A-Team” physicians at world-class oncology facilities. Zitter discusses cases of older adults suffering from kidney failure, pneumonia, and cerebral hemorrhage, all subjected to painful and virtually pointless interventions that in some instances may have been against the patient’s wishes. The reasons, she says, are multifold. Doctors are caught in legal and ethical binds or may not realize the severity of their patients’ condition. One study published in the British Medical Journal found that physicians' estimates of how long patients would live was over five times longer than the actual time they had left. The interactions between patients, their families, and treating physicians may also be problematic. Breaking bad news to a patient is difficult for physicians, as Zitter recounts in several places in her book. And this is a problem in medicine in general. "Doctors with good news were treated as much more compassionate than those with bad news, even when the news was delivered equally empathetically,” she wrote. The book does not shy away from the ethical challenges of palliative medicine. Zitter relates the story of a patient she calls Mrs. Z, a woman who survived the Holocaust, but was unable to express preferences regarding her care. Zitter explains how difficult the decisions about a patient’s care become when a physician has to guess at the patient’s values and preferences. She gives the four principles of bioethics -- beneficence, nonmaleficence, justice, patient autonomy -- as guiding ideas for medical practice. 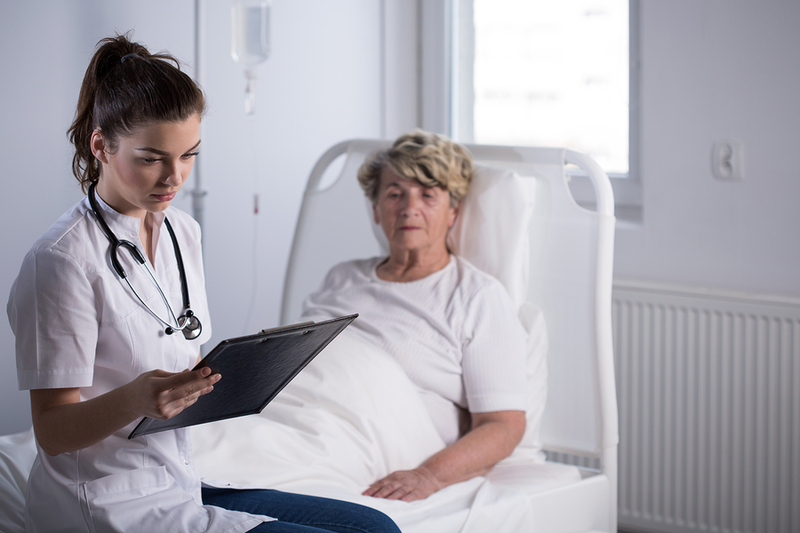 It is not, in her view, a matter of simply “do no harm,” but rather acting in the best interests of the patient while knowing and respecting the patient’s values and preferences. Zitter’s focus is patient-centered care, which she states should be “a grounding principle at the core of every subspecialty in medicine, and within the hearts and minds of all physicians everywhere.” The goal is quality of life, restoring or improving function where possible, and easing the act of dying where unavoidable. We can do much more one hundred years later, but we have to ask ourselves when more becomes too much. Zitter encourages all of us to discuss our healthcare preferences with our family members and clearly document our choices, including those for end-of-life care. Her goal is ultimately the same as ours: to reduce pain and suffering throughout life.